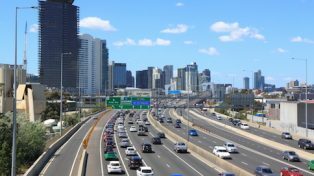 Home > Australian cities: liveable and sustainable? Australian cities rate highly internationally on liveability and well-being indices. State and metropolitan governments are keen to promote the liveability of their cities as a means of attracting mobile capital, skilled labour and tourists. Yet Professor Peter Newton of the Institute for Social Research at Swinburne University of Technology has examined the liveability-environmental-sustainability nexus of our capital cities, and argues that they have gained their high liveability ratings while having high, and now unsustainable, levels of resource consumption.